Fitness Challenge Day 3 – Date Night! Day 3 was another good day for me, but I was not able to get some of my goals fulfilled as hoped. But, not a FAIL, but rather a BUMP in the road to success. 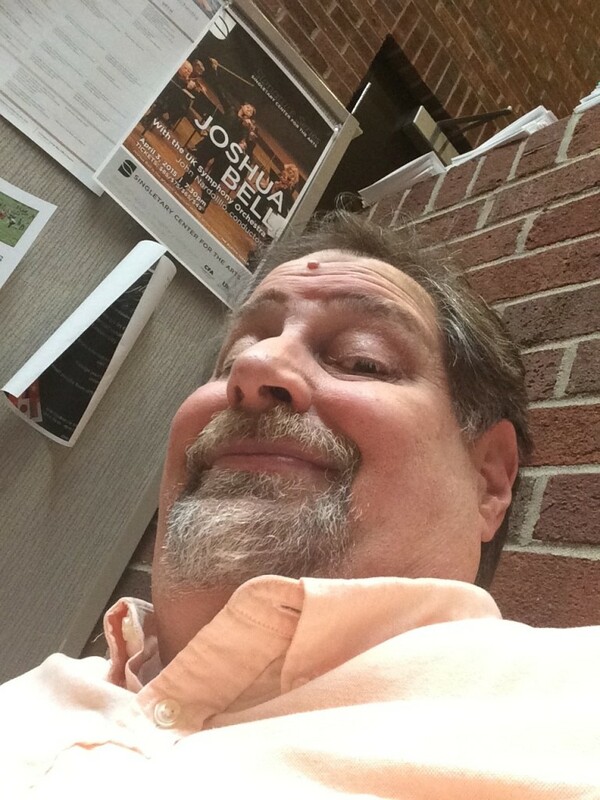 Started off the day with the excitement of weighing in 4 pounds less than when I started…yep, 4 pounds in two days!! But, more than that, today was a special day as Julianne and I would attend the University of Kentucky Symphony Orchestra concert featuring Joshua Bell…perhaps classical music’s biggest rock star! This would throw our plans for a loop. 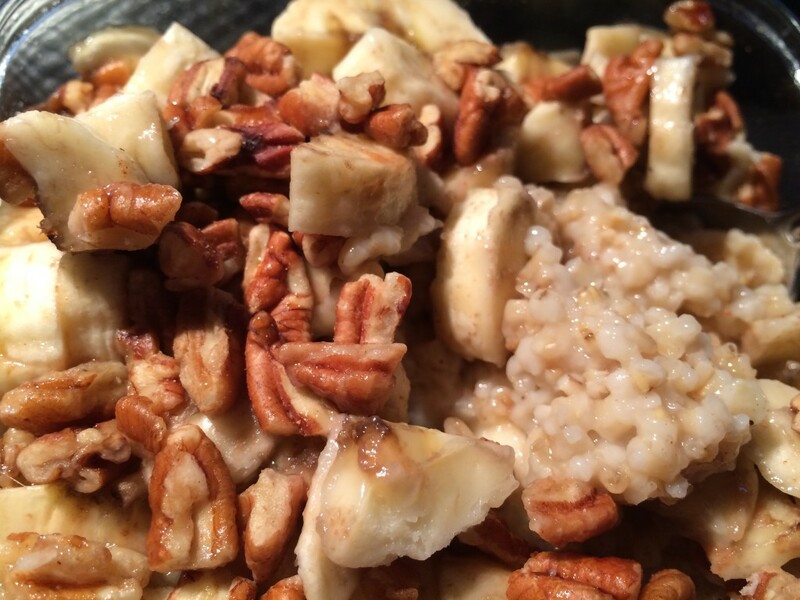 Breakfast of Steel Cut Oatmeal, pecans, bananas and 100% maple syrup – a great source of fiber! We were out of most fruits and veggies (thank goodness Saturday is Bountiful Baskets day!! ), so I had steel cut oatmeal for breakfast…good fiber. It had pecans and bananas and was sweetened with 100% Maple Syrup from Canada. 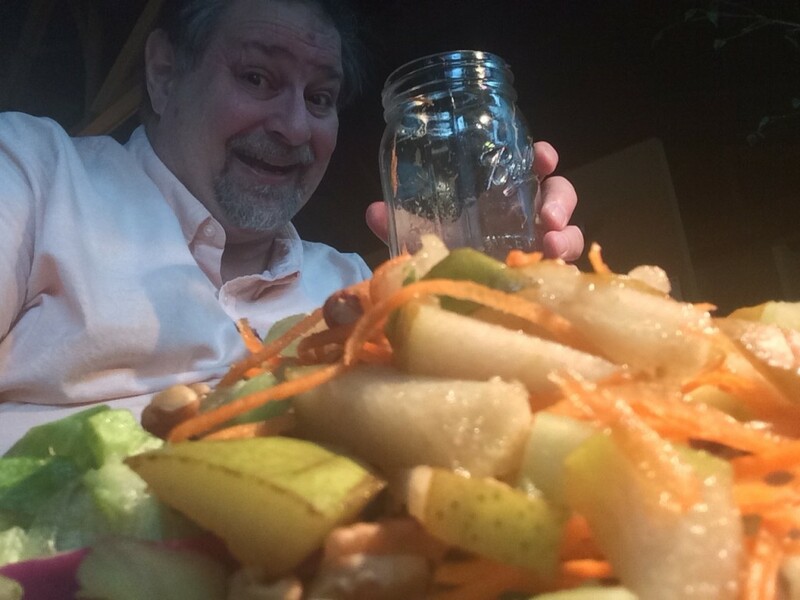 Lunch was Salad in a Jar – Yes, all of that salad was in the jar!! 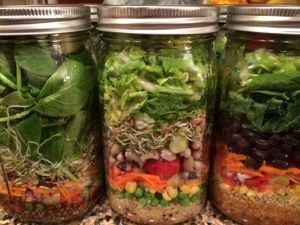 Julianne made a fabulous Salad-in-a-Jar for our lunches comprised of lettuce, purple cabbage, carrots, pears, some pecans and her now fabulously famous 1-2-3 dressing (see yesterday’s post!). It was piled high on the plate and all came in the one jar. And it was filling. My second big bump for the day was no real walk. That doesn’t mean I didn’t walk, but I certainly didn’t get my 30 minutes in as hoped. We did have to park a ways from the Singletary Center for the concert, so I did get some walking in as we went to and from the parking lot. Thai Chili with tofu on rice at Bangkok House. Extra Spicy, extra good. Since the Joshua Bell concert was on UK campus, we decided to go to Bangkok House for dinner. Thai food is always a good alternative for veggie-packed, low fat meals. 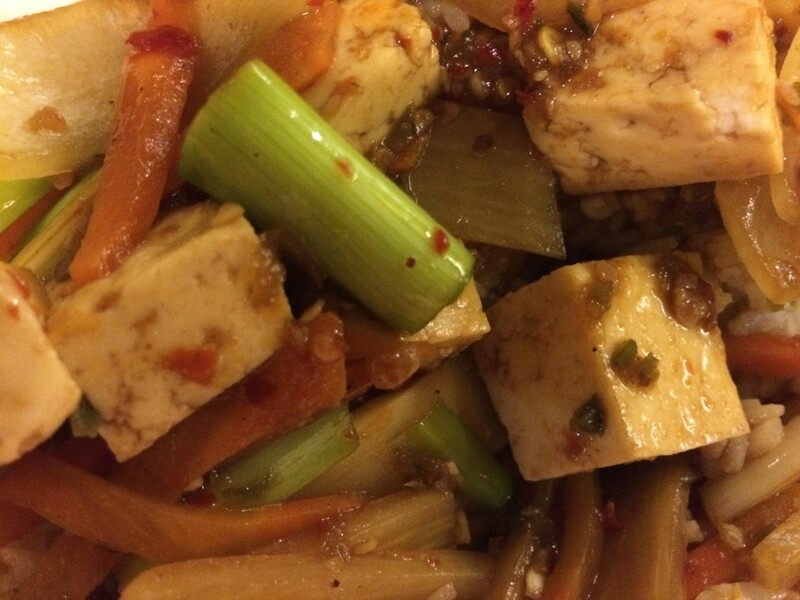 I selected Thai Chili – a vegetarian version of Pad Prik. I always choose extra spicy and this one was yummiferous. Afterwards, we walked across the street and waited for the Joshua Bell concert. You can see my review here, if you are interested. Great day, despite the torrential rains! Dave couldn’t find the 123 dressing recipe. I think I posted it in day too. If not, it is on my Facebook page. I will add it to my day three post later today.